Hello everyone: Today is "One Layer Cards" challenge over at the "Less is More" challenge blog with the focus on the SENTIMENT. I just got this beautiful sentiment from Elizabeth Craft (among other little things, all on sale) just in time for Spring so I decided to enter this challenge because this sentiment is really so beautiful and so true. Here is my card. This sentiment is stamped on a Whisper White card base with SU Costal Cabana ink, the sprigs of flowers are stamped with Memento Tuxedo Black ink and colored with Prismacolor pencils. Both the sentiment and the flower are from the same retired set from SU called "Faith in Nature" and they are stamped with Hello Honey ink. Here are the pictures of the stamp sets I used to make this card. Thank you for stopping by, I appreciate your comments so very much, until next time, happy stamping. Hugs from Maria. Hello everyone: I've been feeling a bit more comfortable with my CAS cards, I admit it took me a bit to get used to leaving all the "white space" that it's required for this style but, as of now, I've been having a lot of fun and have claimed several awards from CAS challenges. 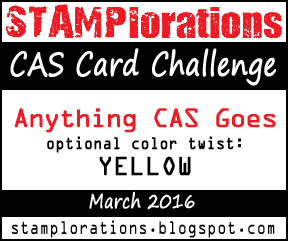 The March challenge over at STAMPLORATIONS is once again, "Anything CAS Goes" with the optional color twist of YELLOW this time so, I took the sketch from Freshly Made Sketches and created this card to combine both challenges. The flower is from SU "Flower Shop" stamp set and it's stamped onto a piece of Canson water color paper with Stazon Jet Black ink and colored with SU markers in Daffodil Delight and More Mustard. The flourishes are done with a die but unfortunately, I don't remember where are they from, I apologize for that. The "hi" sentiment is a punch from Uchida and it's super old, I love that it punches and embosses the paper at the same time. Here is a close up of this very cute punch. And here is a picture of the finished inside, both the sentiment and the flower are from a retired SU set called "Happiness Shared", just so beautiful. Here is a picture of the stamp set I used for the inside. Hello Everyone: This week at the Shopping Our Stash weekly challenge the theme is "A Galaxy Far, Far Away!" The cards need to have an Out of Space feel, or feature green little aliens, stars, planets, etc. This cards are typically for kids and I always like to have a good stash of them (not the kids) at hand for our little nephews and my youngest daughter extended family so, here is my card. I'm linking it also to the LiveLoveCards "Colored Card Stock" challenge. Ok, when I was thinking of a card with an out of space theme I thought of space travel and the only, ONLY stamp I had with a space ship was from the retired SU set "Pun Fun", which is adorable. I usually go to Pinterest for a bit of inspiration and it didn't disappoint this time, I found THIS card that gave me the idea for mine. Now, can you guys see JUPITER? Ha!!! When I was embossing the "Moon" and "Mars" I wanted to incorporate Jupiter in this layout, after all, it's the Giant Planet on our Solar System, I wanted to make it as realistic as possible so I grabbed some pencils and markers to try to paint the famous big spot on it but with no luck and then I remember this old wood grain embossing folder I've had for years and in it, there is a part that looks like it could be the spot for my Jupiter, what do you think? I was so darn happy about the way it looks I'm still smiling, seriously! The little robot is from another adorable, retired SU set called "Lots of Bots", this sets are just perfect to make cards for little kiddos. I stamped it, colored it and punched him out with the retired Postage Stamp punch from SU, I did the same with the sentiment, it's very small but it reads "Happy Birthday, Human", hilarious. Here is a close up of my little space ship and my awesome Jupiter with it's very famous spot. This design on the folder is right at one of the edges but there was enough room to make it look great, the space ship is stamped onto Canson water color paper and colored with SU markers and the aqua painter, I added some silver confetti stars and some other "stars" using my silver gel pen. The sentiment is old and from my stash, the fireworks are from The Ton and it's called PYROTECHNICS , really fabulous set to have for any occasion. Here are the pictures of the retired stamp sets I used, this one is "Lots of Bots". This one is "Pun Fun". 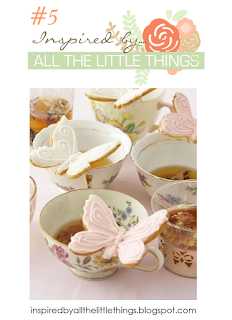 Hello everyone: I just finish this card in the nick of time to enter it on the Inspired by All the Little Things challenge, this time the guest stamper is Amy Tsuruta and the theme is Tea. Here is my card. I combined several old stamp sets with a brand new one from SU called Bordering Blooms, it arrived the day before yesterday and I love it. The other images are from Flourishes and SU retired sets, I will show you the pictures of this pretty images at the end of this post. I stamped the images onto Canson water color paper with Stazon Jet Black ink and colored them with SU markers and the aqua painter, the Bordering Blooms are stamped with Hello Honey ink. And here are the pictures of the stamp sets I used, this one is from SU. The last two are from Flourishes. 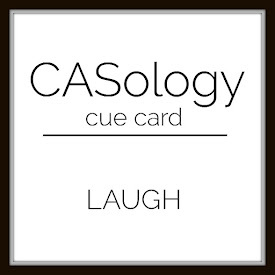 Hello everyone: Well, it's time for another CAS challenge over at CASology with a new Cue Word for us to play along.....LAUGH, so here is my card that I hope makes you smile a little. This image is from Katzelkraft, the set is called Les Chats Russes and I simply love all of this fabulous images of cats, oh.....and that mouse is just adorable. I stamped the image of the mouse first onto Canson water color paper with Stazon Jet Black ink then, I made a mask of only it's legs and the part where the tail starts to be able to stamp the cat image so the mousy is actually sitting on it's head, which of course, is not making him happy at all but I was LOL!! when I saw the finished images, then, I colored them with the aqua painter and SU markers, I added a bit of shadow with Prismacolor pencils. I die cut the image and then, fussy cut the lower part of the cat taping it to a piece of black card stock so he can appear he is sitting on the floor. Here is a close up of this unlikely pair of "buddies". And here is the finished inside. This little mouse really believes in that sentiment. Here is the Cue Word for this week's CASology challenge. I hope this card made you laugh a little, thank you for stopping by today, until next time, happy stamping. Hello everyone: Yesterday I posted THIS CARD made with one of 20+ rubber stamps my Aunt gifted me with a couple of years ago, she found them at a thrift store, in pitiful condition, dirty, stained and unloved on a cardboard box, like trash!!! she knows how much I love stamps so she bought the whole lot and gave it to me. After a good soapy soak and rinse, I grabbed one and stamped it, (by the way, they were all unmounted, just plain red rubber) and what I saw left me amazed and wondering why would anybody throw away such gorgeous images. 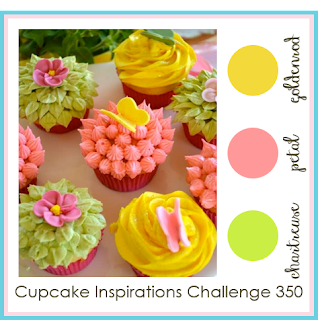 Here is the card I made with another sweet Fairy and I'm linking it to the Mojo Monday sketch challenge, The Cupcake Inspirations challenge #350 and to the "Less is More" color challenge, which are Citrus colors. I stamped the image with Stazon Jet Black ink onto Canson water color paper and colored it with Prismacolor pencils and SU markers, I added Wink of Stella to her wings, dress and hair, the little butterfly is punched with the SU Itty Bitty Butterfly punch with Glassine paper. I loved the Mojo Monday sketch and the "Less is More" Citrus color challenge but, in order to be able to submit this card to this one, I had to keep it as CAS as possible so, instead of adding the sketch's circle and band I opted to sponge both of this figures. The circle is sponged with Calypso Coral ink using the second to the largest die in the set, the "band" was sponged with a stencil using Daffodil Delight ink, I know I'm taking a huge leap of faith with both challenges but heck!! this little Fairy deserves it, don't you think? The sentiment is from my Flourishes set called Orchids and it's stamped in Calypso Coral. Here's the sketch that inspired this card. Hello again, everyone: I have a new card to share with you that I finished yesterday, I didn't have the chance to post it because my daughter borrowed my camera on Saturday and I didn't get it back until yesterday late afternoon so, here is this card I made with another one of my beautiful Fairy images that my dear Aunt gifted me with a couple of years ago. Now I know they are from a company called "Sweet Pea Rubber Stamps" that sadly closed it's doors last November. I feel immensely fortunate to own over 20 plain rubber stamps my aunt found at a thrift store, dirty, stained, unloved in a plain cardboard box for $10.00, I washed each one and when I started inking them up, I was blown away by the beauty of this images, here is one of them. I'm linking this card to the Can You CAS(E) it? sketch challenge. As you can see, this is just a gorgeous image, I can't imagine anybody tossing this away, they are incredibly beautiful, all of them. I inked up this tiny Fairy with Stazon Jet Black ind and stamped it onto a panel of Canson water color paper and colored with my aqua painter and SU markers, I also added some shadows and highlights with Prismacolor pencils. The sketch called for a circle and this image was a bit bigger than the second biggest die on this set so I did the Out of the Box Technique to be able to use the beautiful stems of this roses, it was a bit difficult to cut them because they are so thin and this is water color paper but they came out great. The two leaves were cut out of the image because the stem was way to thin, it was really just a line so I figure it would be better to cut them, color them and snip them out and then, glue them to the stem, this also worked great. The sentiments are from a Power Poppy set called Sassy Succulents . Here is a close up of this lovely little creature, one I wish I could find in my rose bushes one warm Summer afternoon, how about you? I added a bit of Crystal Effects to the dew on the roses, I love that drop that it's about to fall, seems to me she wants it to maybe drink it, so sweet. I also added Wink of Stella to her wings and her dress, after all, Fairies are covered in Fairy Dust, right? Very fitting sentiment from a Flourishes set called "Orchids", the little basket of flowers is from another Flourishes set called Around the Arbor", the pattern paper on the front and inside is from Lili of the Valley. Here are the pictures of the stamps I used, just so you know how they look like. This first one is the Fairy image, it was in such sad and dirty condition, with the rest of the red rubber still around it, all of this stamps were in the same terrible condition, I wish I had taken a picture of this box when my aunt gave it to me. 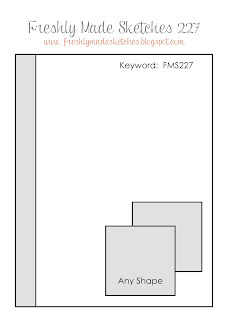 These are the Flourishes sets I used. Hello everyone: Succulents are some of the most beautiful and adorable little plants around, they look so beautiful and can last for a long time. I, unfortunately, have not had any luck keeping this types of plants, who knows why, I do what it says in the tags they have at the store and I even bought a little book on how to care for them but nothing works so, when I saw this adorable stamp set from Power Poppy called Sassy Succulents I just had to have it. Here is the card I made for the Power Poppy "Peek-A-Boo" sketch challenge. I picked 3 of the images in this fabulous set, stamped them onto Canson water color paper and colred them with SU markers and the aqua painter, then I die cut them, the rings around the images and the opening on the panel with my Nesting Spellbinders Circle dies. The background is embossed with a Cuttle Bug brick folder. The little garden accessories are from a retired Flourishes set called "From the Garden", I stamped, colored and fussy cut them, the watering can took some doing, I had to aid myself with an exacto knife to go around the handle, sheeesh!! I was going to just stamp them and die cut a circle but the images would have looked to cluttered so I just brace myself and fussy cut them. Oh, I forgot to mention that the rings around the images were embossed with a wood grain folder to give them a garden feel. The sentiment is from another Flourishes set called "Garden Dreams", I love it, this statement is so true. Here is the sketch that inspired this card, I just turned it on the horizontal to be able to use the brick embossing folder. And these are the stamp sets I used to make my card.